The China Factory Audit service is designed to bring you full confidence in your suppliers before entering into contracts. We help you substantiate the various claims made by suppliers as well as analyze the capabilities of potential suppliers. A factory audit is usually carried out once the “supplier identification & shortlisting” process is complete and is an On-Site form of due-diligence especially on a new supplier. 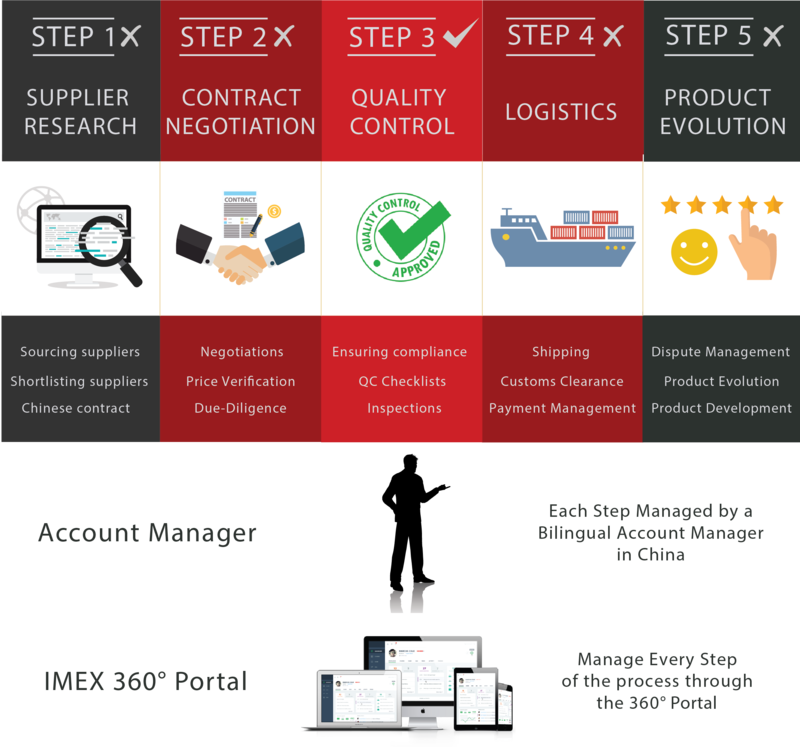 *The services mentioned above are part of the 360° Sourcing Process, not of the China Company Verification Service. If you are placing large orders or intend to work with a factory on a regular basis, you want to be sure they can deliver. We will provide a physical audit of the supplier’s premises and verification of their documentation, licenses, processes, capabilities, product lines and other critical factors. Arranging a visit to the supplier’s premises – to ensure that the company is physically located there and carrying out an audit of their factory & production lines. This is done by trained auditors. Checking the relevant registration certificates of the company and checking the validity of these documents with the relevant departments to ensure that they are genuine. We strongly recommend you carry out a “Company Verification” before proceeding with a factory audit in order to keep the costs low, as a company verification report is a quick and low cost way to shortlist suppliers before investing money on a factory audit. Reviewing factories production processes, such as Welding, SMT, Testing & Assembly. Evaluating factories annual and seasonal production capabilities. Evaluation factories export experience and capabilities, for e.g. checking export licenses as well as understanding the mix of domestic sales Vs. exports. Checking & Evaluating factory’s manpower resources i.e. total number of workers, workers per production line, number of admin and sales staff, number of people in management, etc. Verifying existence of internal QA/QC Procedures and identities of relevant managers. Checking third party certifications, such as ISO certifications. Evaluation of Factory’s working hours and other working conditions of workers. Checking company’s product documentation such as “quality control checklists” or “lab testing documentation”. And many other reliability & existence checks are also available. A report in PDF Format is submitted within 72 hours of the factory audit being completed. Reporting: Get a detailed audit report in PDF format covering various aspects of the audit along with pictures & our recommendations. Our factory audit report would enable you to select & maintain a high quality supplier base. Sleep safely by auditing your factory this week!